If I had a signature drink, it would be beer. But since that doesn’t really qualify as a cocktail, I’m totally adopting the Shandy. It’s like an alcoholic Arnold Palmer. 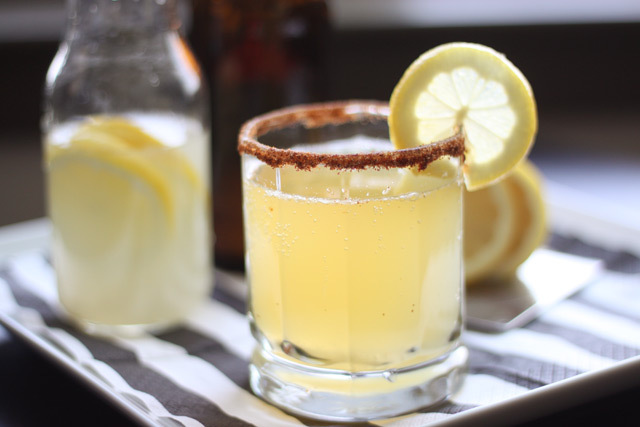 Half beer, half lemonade—and 100 percent refreshing. It really is the perfect summer drink. And it couldn’t be easier. 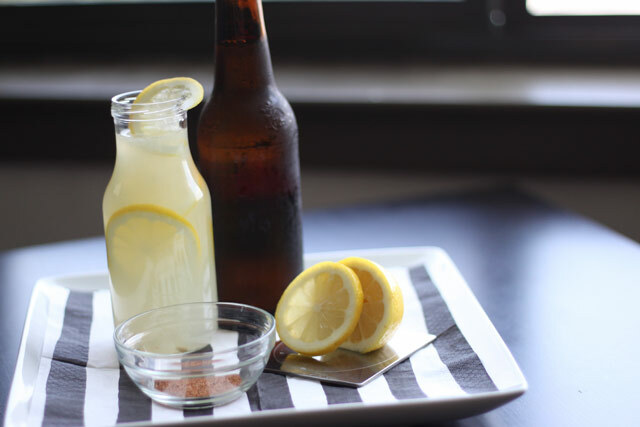 Just mix up your favorite light lager with lemonade, half and half. 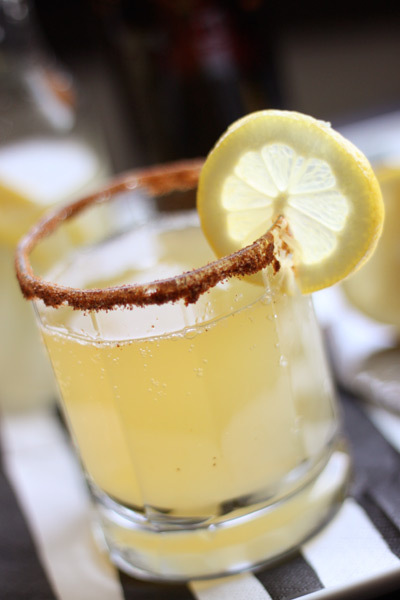 Garnish a pair of double Old Fashioned glasses with a rim of squeezed lemon and a bit of cayenne pepper and salt. First fill each glass halfway with lager, then fill all the way with lemonade. 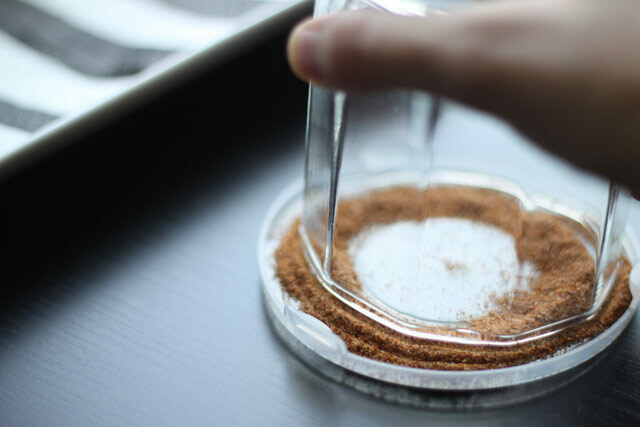 Gently stir. Finish with a slice of lemon. Awesome! I’m ready to make them. You should! They’re surprisingly good for how easy it is to throw together. We will definitely have to try this, it sounds delicious! Have you tried our Michelada? It’s similar, but without the sweetness of the lemonade. Oh man, your Michelada post had me drooling. I haven’t mixed one up just yet, might have to make myself one (three) this weekend. Sound a little too sweet but I will give it a try. 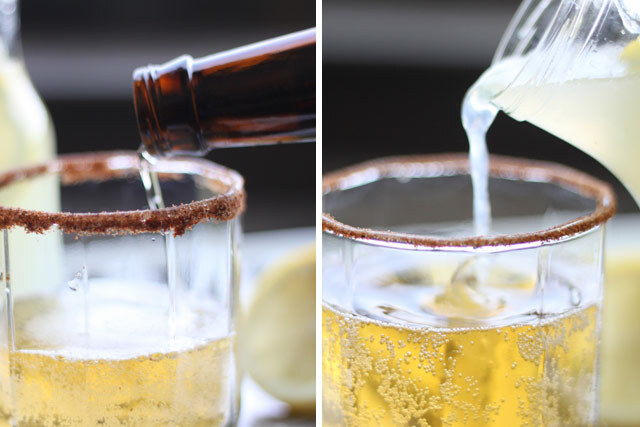 Try this michelada recipe next time. Pingback:	Beer Cocktail Recipes Combine Your Favourite Drinks For The Long Weekend | Everyfoodrecipes, cooking tips, and how-to food videos—all rated and reviewed by millions of home cooks,make the perfect birthday cake, or plan your next holiday dinner. The pepper is wayyyyy to hot and the mixture leaves the weirdest taste in your mouth.